Have a panoramic day, every day. Live a panoramic lifestyle at The Solis, the latest premium quality residential development from Horizon Capital Residential. Follow the sun’s path from dawn to dusk. Take in the spectacular views over Sea Point and the ocean beyond. It’s the refined urban lifestyle you’ve worked so hard to achieve. Invest in The Solis, inspired by the sun, designed for you. 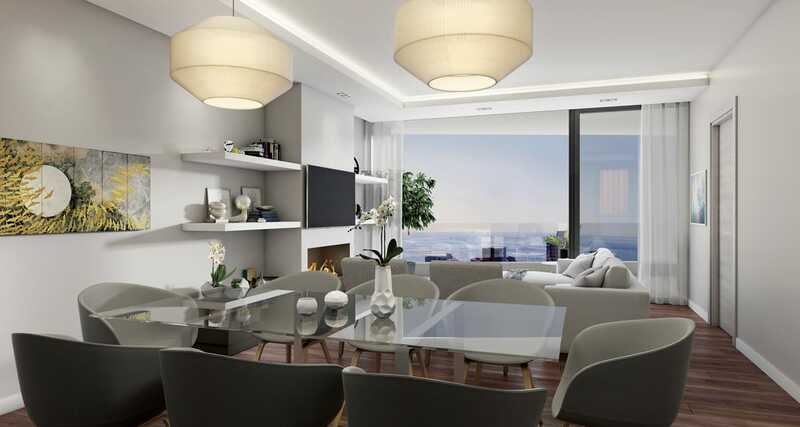 Eleven beautifully designed apartments including two roof-top penthouses have been designed for buyers with a distinguished eye for a quality investment. 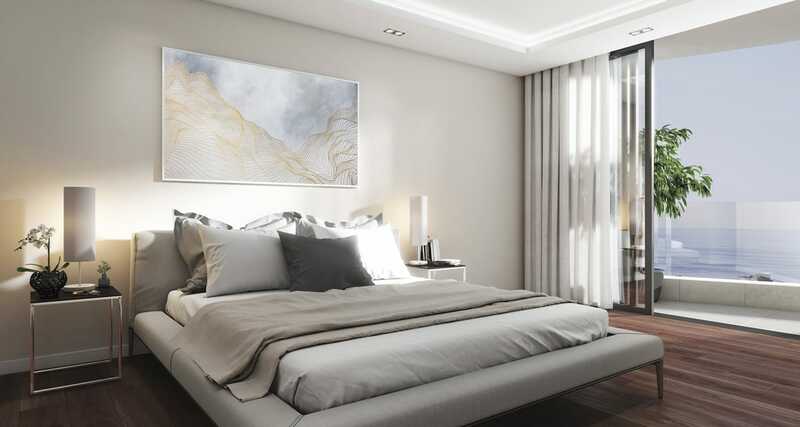 The Solis reflects the hallmark of every Horizon Capital Residential development: sophisticated design, lock-up-and-go convenience and high quality fittings. Each apartment features air-conditioning, floor-to-ceiling glass and aluminium sliding doors, engineered stone counter tops and heated towel rails. The two penthouses each have a completely private sky deck with swimming pool, wooden flooring and integrated kitchen appliances. 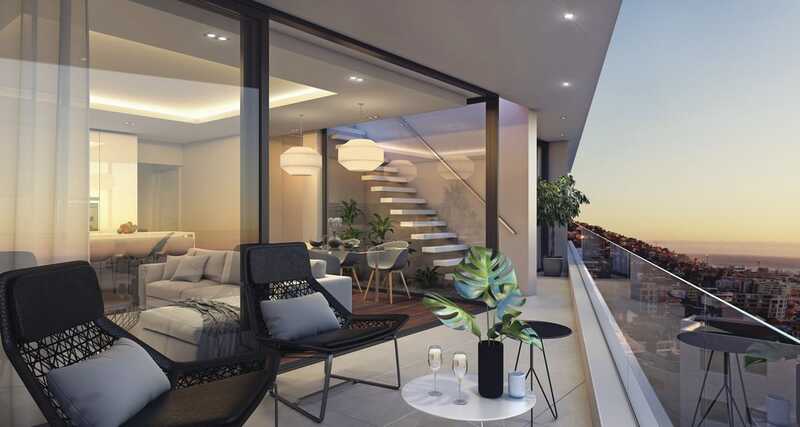 The Solis is close to everything that the Atlantic Seaboard has to offer, from public artworks on the Promenade, to golf at the Metropolitan Golf Course and shopping at the V&A Waterfront. 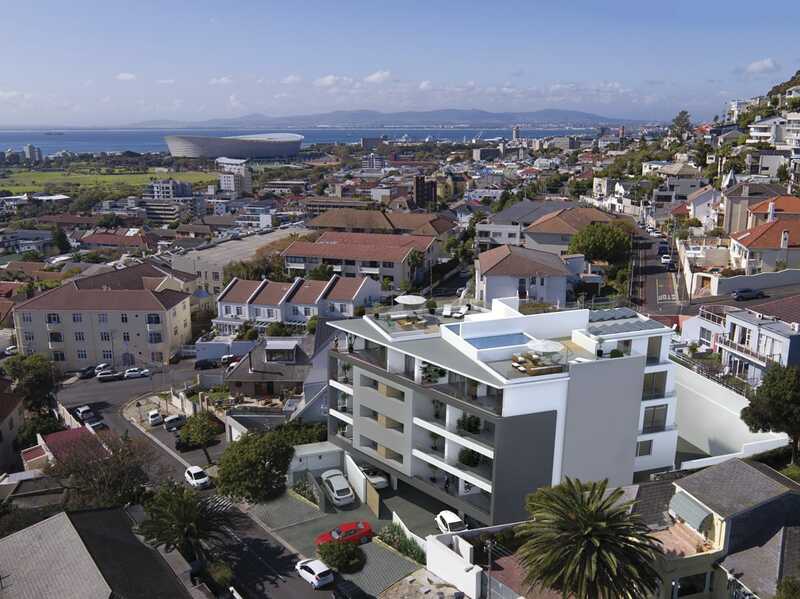 The Solis has been designed for a panoramic urban lifestyle in one of Cape Town’s favourite neighbourhoods. Come home to your private hillside sanctuary. Soak up the sun while enjoying panoramic views of the world. Maximum functionality and easy open-plan living. The Solis has been consciously designed to make the most of the prime north-west orientation. The striking angular façade offers each apartment views of either Signal Hill, Lion’s Head, Sea Point, the Cape Town stadium and the Atlantic Ocean beyond. Generous covered terraces and floor-to-ceiling aluminium sliding doors allow seamless indoor-outdoor living; and the neutral palette provides a blank canvas that can be transformed to suit your own creative style. Air-conditioning, Smeg kitchen appliances, engineered stone counter tops and heated towel rails complete the picture of quality and refinement. The two rooftop penthouses offer 360˚ views of the world. Each has its own private sky-deck and swimming pool; as well as timber flooring, built-in gas fireplaces, heated towel rails and integrated appliances. The Solis represents the ultimate lock-up-and go convenience and luxurious Atlantic Seaboard living. Come and join the Mother City at play! The Solis is located just 600m from the Sea Point Promenade – Cape Town’s favourite place to play. It’s the perfect place to enjoy a sunset stroll, a morning jog, or a much-needed breath of fresh air, surrounded by people from different countries and walks of life. Public artworks created by well-known local artists punctuate the route from Mouille Point to Bantry Bay and the outdoor gym is ideal for a refreshing alfresco work-out. The beautifully located Sea Point Pavilion swimming pool beckons on hot summer days. Beyond the Promenade, Signal Hill, Lion’s Head and the shimmering white beaches of Clifton and Camps Bay are just around the corner. Nearby, many excellent restaurants offer various options for relaxing lunches and nights out on the town.